Tameka, a single parent, received help from Culpeper Career Resource Center with the stepping stones of where she wanted to be in the future including attending Germanna Community College. Thereafter, Tameka temporarily moved to West Virginia where a Section 8 voucher for housing was available. While there she graduated from the Medical Assistant Program at Ross Medical Educational Center, in Morgantown, and was selected for an externship in the emergency room at Preston Memorial Hospital in Kingwood. 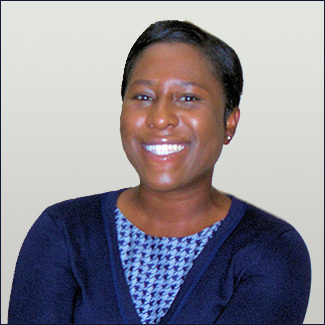 Tameka then returned to Culpeper to work full time at Kilby Pediatrics. She later enrolled in nursing school at Eastern Virginia Career College, in Fredericksburg, and expects to complete her studies in March 2018. Tameka then will take the exam to become a Registered Nurse conducted by the Virginia Board of Nursing. She has continued to work, now part-time, at Kilby Pediatrics, and, more recently, also at Urgent Care in the Warrenton Family Practice. Tameka’s plan for the future is to complete a Bachelor of Science in Nursing degree at George Mason University, in Fairfax, and, ultimately, to become a Registered Nurse Anesthetist.